Preheat the oven to 400°F. Line a sheet pan with parchment paper. 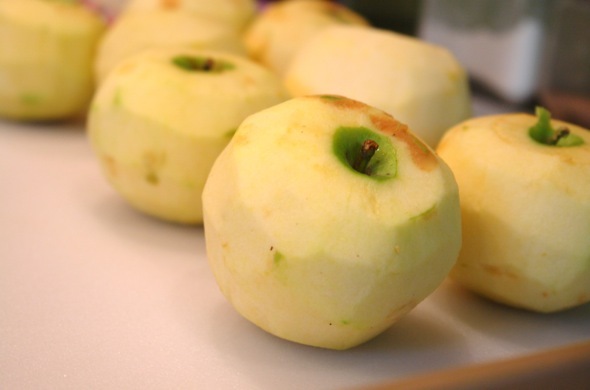 Peel the apples and cut them in half through the stem. Remove the stems and cores with a sharp knife and a melon baler. 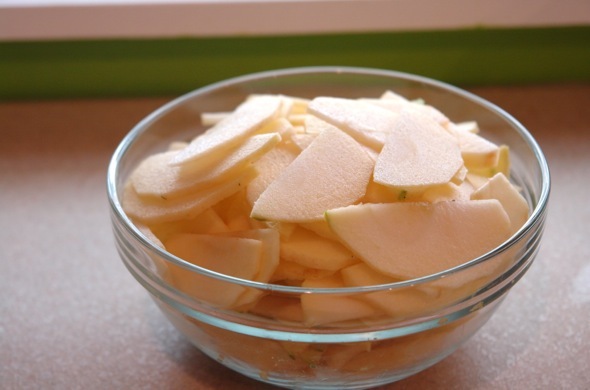 Slice the apples crosswise in 1/4-inch thick slices. 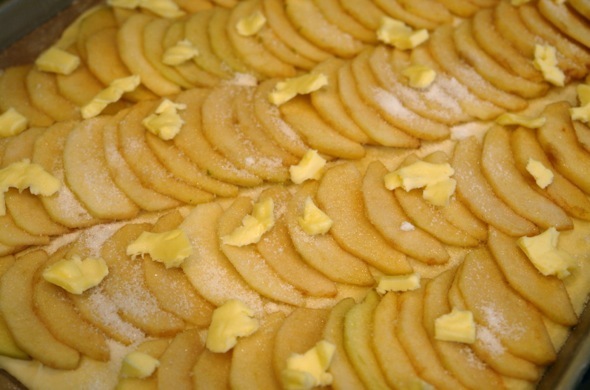 Place overlapping slices of apples diagonally down the middle of the tart and continue making diagonal rows on both sides of the first row until the pastry is covered with apple slices. (I tend not to use the apple ends in order to make the arrangement beautiful.) Sprinkle with the full 1/2 cup of sugar and dot with the butter. 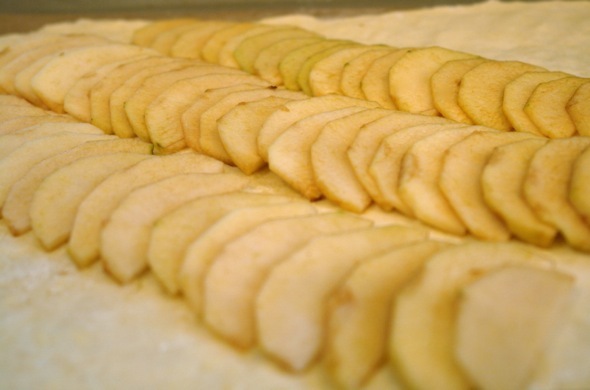 Bake for 45 minutes to 1 hour, until the pastry is browned and the edges of the apples start to brown. Rotate the pan once during cooking. 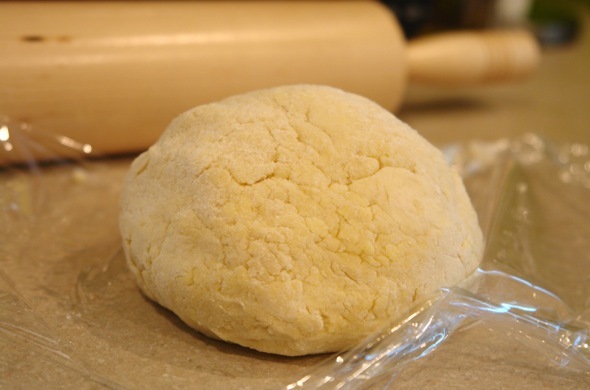 Note: If the pastry puffs up in one area, cut a little slit with a knife to let the air out. The apple juices will burn in the pan, but the tart will be fine. 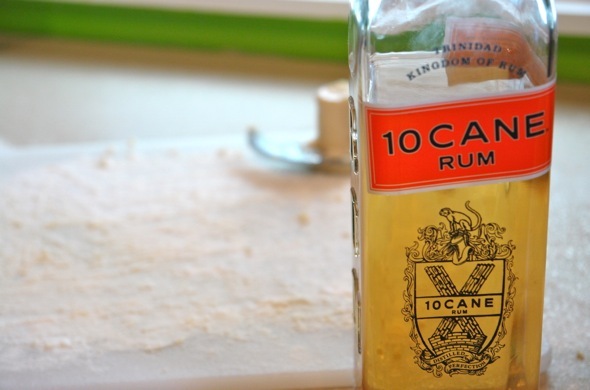 When the tart’s done, heat the apricot jelly together with the rum and brush the apples and the pastry completely with the jelly mixture. 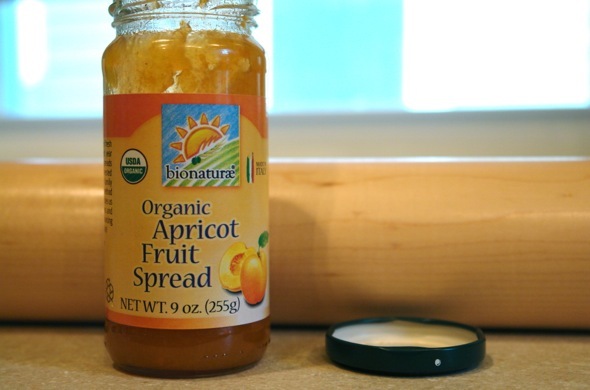 Loosen the tart with a metal spatula so it doesn’t stick to the paper. Allow to cool and serve warm or at room temperature. I love that the tart’s buttery crust is not sweet because the apples and the apricot topping are. The natural caramelization that occurs really makes this dessert special. 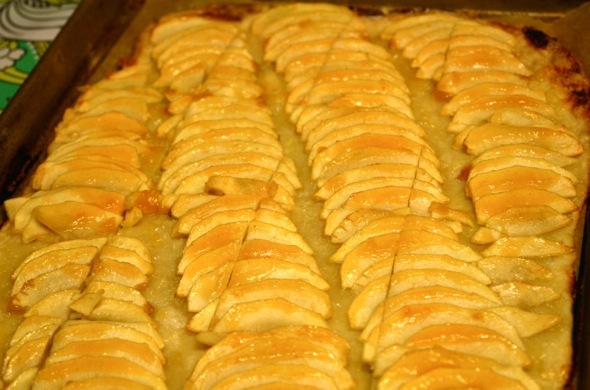 I will be making this one again soon because I still have a couple bushels of apples left from our fall apple picking. The baking must go on…and it will!